Blog posts tagged "health force"
counter and prescription), and environmental toxins. The liver is the largest organ inside the body, the skin technically is our largest organ. The liver is a full on work horse it processes toxins, produces enzymes, antioxidants and filters blood among thousands of other functions. The title of this post is taken from Paul Simon's hit song 50 ways to leave your lover. I hope you enjoy the humor and suggestions while couched in humor they are helpful and designed to inform. 10.) Avoid consuming alcohol especially if you've over eaten - this puts a tremendous strain and burden on the liver. 12.) Express yourself - un-exspressed emotional energy particluarly anger builds up in the liver. In this post the aim is to offer you simple easy to apply steps to support a healthy liver. The liver is a work-horse constantly processing for our health and well being. Keeping the liver healthy will lead to an improved feeling of well being as well as mood. In Traditional Chinese Medicine the liver is associated with strong emotions such as anger. 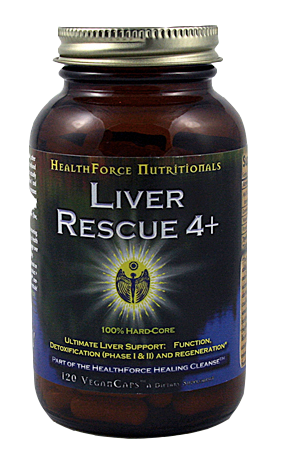 A well functioning liver supports us on many levels in achieving a healthy and happy life. Its that time of the year, when excessive alcohol consumption gets the green light. As a society we've agreed that the holidays are a time of indulgence. But, unfortunately our bodies don't go on holiday. And, they will pay the price and take the brunt of our holiday indulgences. All is not lost, as mother nature has provided us with a great many herbs to help cleanse the body. The liver is a real workhorse, constantly filtering and neutralizing toxins, to keep the body safe from harmful substances like alcohol. The liver filters the blood at a rate of 1.5 liters per minute, an astounding volume and rate. When we drink, alcohol is quickly absorbed into the bloodstream, so the liver is filtering alcohol at an equally fast rate. If the liver had only one function, its job would be easy. But, the liver is a complex organ responsible for hundreds of process and detoxing alcohol is only one of them. The liver processes the alcohol and essentially removes it from the bloodstream. Alcohol is a poison and if it were not broken down and detoxified it would kill you. Each year there are a number of alcohol induced deaths, simply because people have consumed too much alcohol for their liver to process. I am not suggesting that you are in danger of alcohol poisoning this season. I just wanted to illustrate the point and remind you that alcohol is essentially a poison. Alcohol in moderation still compromises you liver, digestion and overall health. But, there are a few things you can do to take care of your liver in a way that's easy to implement and will allow you to enjoy the holidays. counter & and prescription), and environmental toxins. levels of the most powerful liver herbs known, provides powerful direct antioxidants, and supports multiple phases of liver detoxification. Use this supplement pro-actively, if you know you will be drinking, take two capsules before heading out. And take another two capsules before bed with a large glass of water. Then you will want to continue taking Liver Rescue +4 as directed on the bottle for a week or more just to keep you staying healthy and clean. Milk Thistle Seed Extract ( Silybum Marianum standardized to 80% Silymarin) - 600 mg Dandelion Root Extract ( Taraxacum Officinale) (4:1) - 200 mg Wasabia Japonica ( root ) - 100 mg Picrorhiza Kurroa ( 10% kutkin) - 100 mg Be safe, enjoy the holidays and from all of us at Zebra Organics have a Happy New Year! Disclaimer: The information presented here is not intended to diagnose, treat or cure any disease. This information has not been evaluated by the FDA. Keeping the liver healthy is a priority for all levels of well being. In Chinese medicine the liver is associated with the emotions of anger, rage and frustration. These are insidious emotions which harm the body because they contribute to an acidic ph and prevent us from feeling the good in life. Left unchecked these emotions can lead to deep dissatisfaction and undermine our overall quality of life. There are a few herbs and supplements that you can use to support the liver, chief among them is Milk Thistle seed. This herb has been used for centuries to support the liver and it is the main component in Health Force's Liver Rescue herbal blend. Other supportive herbs in the blend include artichoke and dandelion. Use this gentle blend for general maintenance or as part of a cleansing regime. This formula also has benficial ORAC capacity thus helping with overall health and liver support. Reishi is another top notch herb for the liver. In Traditional Chinese medicine reishi is known as a shen tonic a substance that helps to calm and uplift the spirit. In China and other Asian countries it is revered as a premiere tonic herb where it has been used medicinally for hundreds of years. Reishi is a mushroom that has been and is used to support the body in various ways. It has been used for respitory health, neurological health and liver health. Reishi has been and is used to support liver health and address various aliments that affect the liver. Among the conditions which practitioners have recommended reishi for are cirrhosis and hepatitis. Reishi contains a host of anti oxidant compounds which support the health and detoxification of the liver. A Chinese study involving mice demonstrated that reishi had the capacity to restore liver tissue damaged by harmful chemical back to a healthy state. While the research is limited it does align with the traditional use as a liver tonic and protector. The reishi featured in Quantum Research's Reishi Complex is wild sourced and of the highest caliber available on the market. This complex features many complimentary herbs and nutrients designed to support the function of reishi and liver health. Castor Oil Cleansing is also a great way to support the liver. Please refer to the following post to learn more about Castor Oil Cleansing and visit our web store to purchase the highest quality Castor Oil and cotton flannel. Lemons are also very good for the liver and many people like to drink a glass of warm water with the juice of half a lemon in the morning. This helps to reduce liver stagnation, clear congestion and cleanse mucus build up from the system. While lemons are acid once they are ingested they alkalize the body and help to keep the body's ph balanced. Also try using lemons instead of vinegar on your salads. The combination of organic greens, raw olive oil and lemon juice with a touch of salt; yum and good for the liver. the previous one. Your liver will love it and so will you.